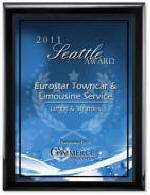 Eurostar Towncar Service have been proudly providing transportation services in the greater Seattle since 2002. 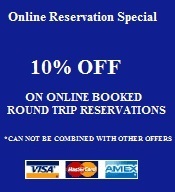 Our goal is to provide you with reliable, ontime, luxurious service. We offer elegant, well maintained vehicles that cater to all of your needs. WE TRACK ALL INBOUND FLIGHTS SO YOU GET PICKED UP ON TIME NO MATTER WHAT TIME YOUR FLIGHT ARRIVES; WE UNDERSTAND THAT THERE MIGHT BE DELAYS. Our professional drivers are always on time and very knowledgeable of the greater Seattle. We recognize that your time is important and you deserve the utmost quality in professional ground transportation. Any business, office, travel agent or frequent travelers may open a corporate or frequent travelers account with us and benefit from volume service and corporate rates. We provide a service to satisfy the needs of your entire staff 24 hour a day, 365 days a year. Our reservation system can keep track of multiple reservations and organize them by department, cost center, client-ID or other criteria. For many firms, a company-wide account that is centrally-billed provides control and reporting in an area that is frequently overlooked and subject to misuse. Taking a cruise out of Seattle? We offer affordable cruise ship transfers from SeaTac Airport to directly to your cruise ship port. If you have extra time before boarding your ship, you might consider taking a limousine tour of some of Seattle's most famous sights. All our cars are fully insured and licensed by the state of Washington. Port of Seattle and Seattle Tacoma International Airport.